TALLAHASSEE - As the House voted Tuesday to send the final pieces of major court legislation to the governor for his signature or veto, both sides moved to claim victory in this year's fight over civil-justice reform. In all, the Legislature passed four major bills dealing with lawsuits, two of which have already been signed by Gov. Charlie Crist. Tuesday's House action sent to Crist's desk a bill essentially reinstating parental waivers for children at places like theme parks and a measure raising the caps on legal settlements between local governments and plaintiffs. Those joined the pair of proposals Crist had already signed: One increasing the burden of proof for plaintiffs when a business owner has allegedly allowed his premises to become dangerous - the so-called "slip-and-fall" legislation - and another capping the fees that the Attorney General's Office can pay to outside attorneys. But the state's trial lawyers association, which was seen as politically weakened and in disarray after the uproar over a racially divisive mailer against Sen. John Thrasher, R-St. Augustine, in a special election last year, was ready to declare at least partial victory Tuesday. 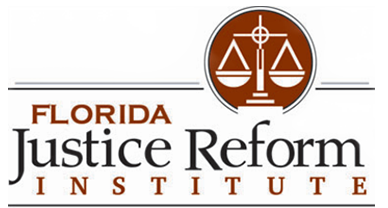 "We're happy with [the session], because we think that the policy for the courts has improved this session," said Mike Haggard, president of the Florida Justice Association. Haggard conceded the slip-and-fall changes were opposed by the association, but he dismissed the attorney general bill as more politics for Attorney General Bill McCollum, GOP gubernatorial candidate, than substance. And he said the waiver bill and sovereign immunity measures were both agreeable to his organization in the forms that they passed. The association also seems to have defeated a measure providing sovereign immunity to emergency room doctors, though observers caution against labeling any bill as dead until the end of the session. "We'll wait to see if that's a victory until sine die," said Haggard, using the Latin term for "without a day" that traditionally marks the end of the session. But business groups that support tort reform are also saying the legislative session was good for them. "If the Florida Justice Association thinks that this is a day for victory, then I'm willing to declare it is as well," said Barney Bishop, president of Associated Industries of Florida. "We'll look forward to celebrating Victory Day with them again next year as well." Bishop wasn't the only one warning that future sessions could see more victories those pushing additional overhauls of the civil-justice system. "I've said all along I'm not out to go just poke my finger in their eye just to do that," said Thrasher, who sponsored the attorney general's bill and the ER measure. "But I would tell them this: I think there will be other issues down the road. I don't know that I would necessarily declare victory or defeat on anything." He said the ER bill got further than it has in the past, a partial victory. Bishop said Thrasher's tough race in Senate District 8, which saw trial lawyers work hard for his defeat in the special election to replace the late Sen. Jim King, helped civil-justice bills move through the Legislature. "I think the appetite was whetted by the campaign against Sen. Thrasher," he said. Others were less sure, saying the measures were aimed at helping industry in a tough financial environment. "What I think this is about," said William Large, president of the Florida Justice Reform Institution, "is about the economy and jobs."